Home / Technology / Why Need Projection Screen? Many friends who buy home cinema projectors are entangled in whether to buy the projection screen. The user will hesitate, a lack of understanding of the projection screen. Maybe you think that projection screen just like the ordinary white walls, spend big price to buy the projection screen is a waste. Is it Right?! Quite wrong. Please take a look at the following pictures: Same projector at same environment, left one is an ordinary curtain, the right is a professional high gain projection screen. White wall and the projection screen. Please ignore the Chinese words…KKK. Not only the white wall projection effect is low, and the ordinary projection curtain is not a good choice. Why? The projection screen, optical type is one of the most important characteristics to distinguish. We call optical screen which can control the light reflection direction, on the other hand, can not control the direction of the light reflection screen can not be called the optical screen. The characteristics of our common screen, just like as ordinary white walls, after the projector light up, have 180 degrees of diffuse reflection, we watch the screen from any direction, the brightness of the screen without any changes. In fact, the optical characteristics of common screen is same as the white walls. So it will have a lot of projection directly to the user the image projected onto a white wall to watch, because indeed, the vast majority of ordinary screen effect and no white walls. A reflective screen, similar to a mirror reflection, and the angle of reflection equal to the angle of incidence. Our common metal curtain is the typical reflective optical screen. Metal curtain is not made of metal material. It refers to the screen with metal reflective particles, which is made of special technology. It can be hard screen or soft curtain. Most of professional projection screens are just this type. The optical screen, as the name suggests, is a screen with special optical characteristics. This kind of screen is a special reflection on the projector projection light, which controls the direction of reflection of light, so as to achieve better viewing effect. What is the gain? In simple terms, the projection screen reflects the ratio of the brightness of our naked eye to the reflected brightness of the white wall, when the projector and the external environment are fixed. In theory, the selection of high gain projection screen can bring a brighter picture to achieve the purpose of overcoming the light of the external environment. More high gain is better? Not right. Increase in gain, resulting in a drop in contrast. The gain and visual angle are both a pair of enemies, especially the almost unsolvable problem in the field of positive investment. 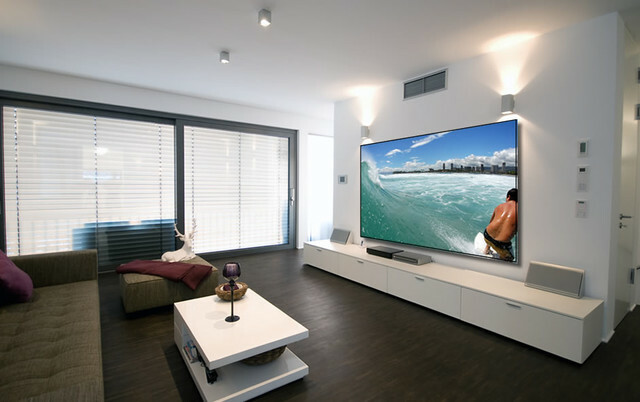 In fact, the general household, does not need to choose high gain screen special, because the gain especially high color performance will decline, and watch the high gain in the dark environment, the environment and the contrast is too big, so that the viewer is also prone to eye fatigue, long time using high gain curtain for such users is not very healthy. So in general, it is possible to choose a 1 .0 gain curtain. More best seller projection screens in Amazon.com. There are two famous brands in China, named Focusview and Snowhite, Recruitment of Distribution Agents from All Countries now! Do you want to be the local distribution agent of 4K ultra short throw screen?